There is no denying this case of severe bullying and random act of violence nearly cost a young boy his life Tuesday afternoon. 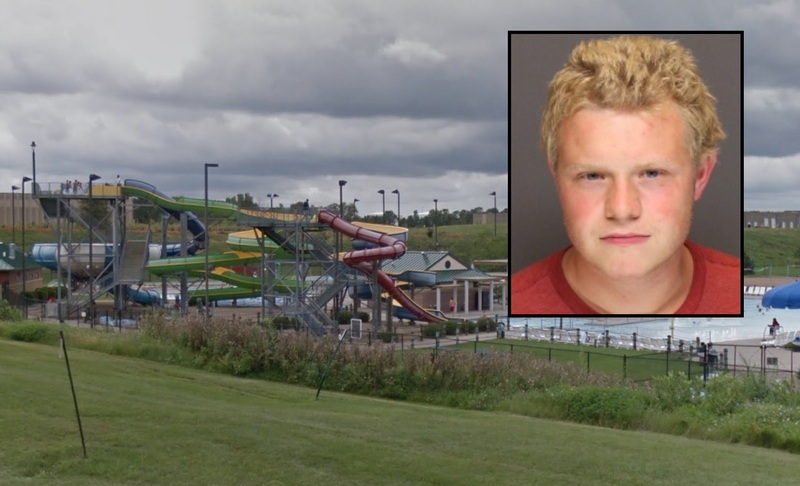 Police say an 18-year-old boy is in custody after randomly picking up an 8-year-old boy and throwing him 31 feet to the concrete floor below the water slide platform because the line wasn't moving fast enough. The attacker and the victim did not even know each other and witnesses so say there was no altercation between the two boys. Miraculously, the boy was breathing and conscious when police arrived at the Apple Valley Aquatic Center. Emergency responders initially believed the boy fell but later learned that 18-year-old Roman Adams picked him up and threw him over the railing while waiting in line. Adams is from Maple Grove and was described by investigators as "mentally delayed". Adams said he has a personal care attendant and did acknowledge that he knew what he did was wrong. The victim suffered broken legs, shoulder, and arms. The victim remains hospitalized and is attacker is expected to face a third-degree assault charge but if I were the prosecutor I'd charge him with attempted murder. It is a miracle the boy survived the fall and if he landed on his head he would certainly be dead.